The Labour Party has said that it would reform the disability hate crime law so that it has parity with other forms of hate crime. 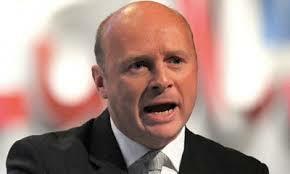 Shadow work and pensions secretary Liam Byrne (pictured) announced plans at the Labour Party conference to introduce a specific criminal charge of disability hate crime, amid evidence that victims of it are being let down by the criminal justice system. A joint inspection of the police, probation and Crown Prosecution Service (CPS) in March this year uncovered a lack of understanding of what classifies as a disability hate crime and confusion around how this type of offence should be recorded and investigated. The inspection report, Living in a different world: A joint review of disability hate crime, acknowledged that some progress has been made in tackling disability hate crime, but recommended all agencies must do more to ensure that it is treated on an equal footing with other hate crimes and that victims have the confidence to report crimes. Labour said it would extend aggravated offences in the Crime and Disorder Act 1998 to include where hostility is demonstrated towards people on the grounds of disability as well as making "stirring up hatred" against disabled people an offence. Byrne added that crimes would be “properly recorded” on people’s criminal records. He also said that a review would be carried out into whether the Attorney General should have the power to challenge any disability hate crime sentences seen as "unduly lenient". The number of recorded disability hate crimes rose in 2011 – the latest available figures – with 2,095 reported, up from 1,569 in 2010, according to statistics from the Association of Chief Police Officers. But this rise may have been, in part, down to more disabled people having the confidence to report crimes, the Disability Hate Crime Network said at the time. However, the official figures are said by many disability groups to be the tip of the iceberg, with many offences either going unreported or not classified as a disability hate crime. Indeed, the majority of people with autism – 72% - reported being the victim of disability hate crime in a 2012 survey by the National Autistic Society.